Back in 2007 this was a talk I gave at the Clarion Devcon in Sydney. Then in 2009 it became a talk I gave at the Sydney Barcamp. Now, after David Meerman Scott’s “Real Time” Seminar, it’s become an eBook distributed under the Creative Commons license. Read it today, and start wearing your undies on the outside! The eBook is a PDF file. 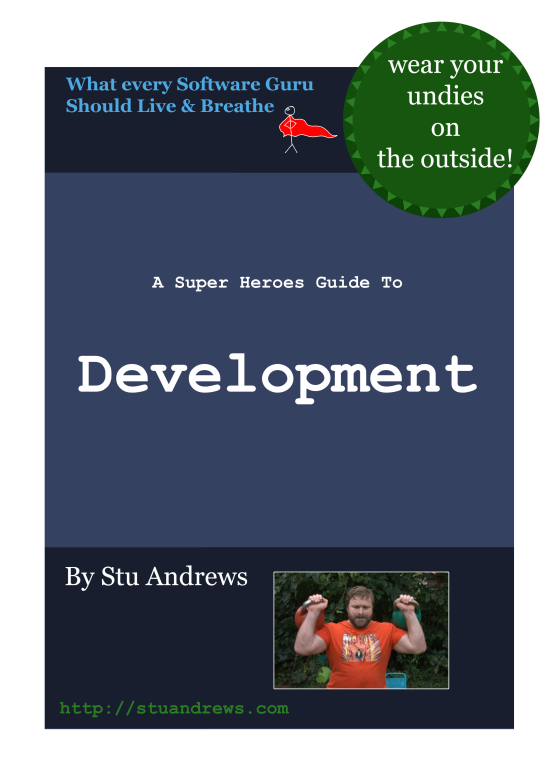 A Super Heroes Guide To Development by Stu Andrews is licensed under a Creative Commons Attribution-NoDerivs 3.0 Unported License. Based on a work at stuandrews.com.